I’m going to be running the 2016 TCS New York City Marathon (Sunday November 6th) to help raise awareness, and funds, for some great Down syndrome research (if you’d like to donate, I’d really appreciate it. You can do so by clicking here.) I thought it would be fun to document my training, so I hope you enjoy my week 2 (pre) training update! This week I ran a total of 22 miles, which you can see below. 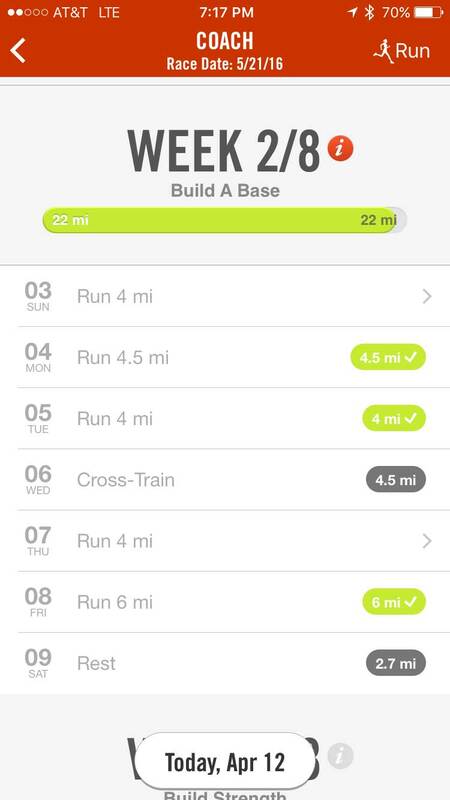 Here was my running plan for week 2! Tuesday – 4.01 miles. 10′ 13″ per mile. 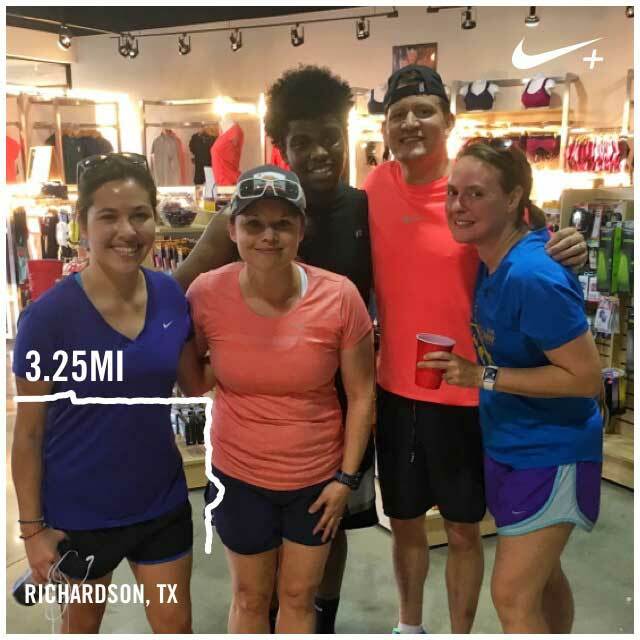 Wednesday – I did an OrangeTheory class and ran 1.27 miles on the treadmill for a pace of 10′ 32″ and then I did my very first group social run (see picture below) where we ran 3.25 miles for 11’57” per mile. I signed up for the group run at a running store near where I live, and I have to say I really enjoyed it. It was fun running with other folks and the people were all very nice! I’ll be doing this again. My first social group run! 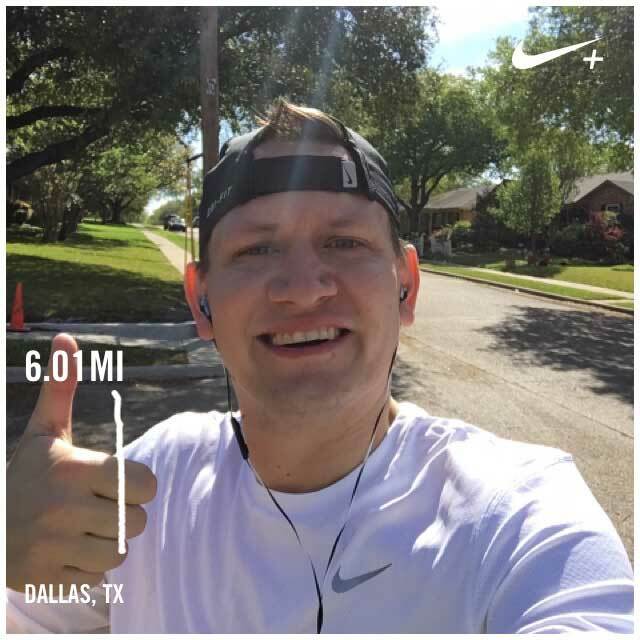 Friday – 6.01 miles (long run.) 11′ 16″ per mile. 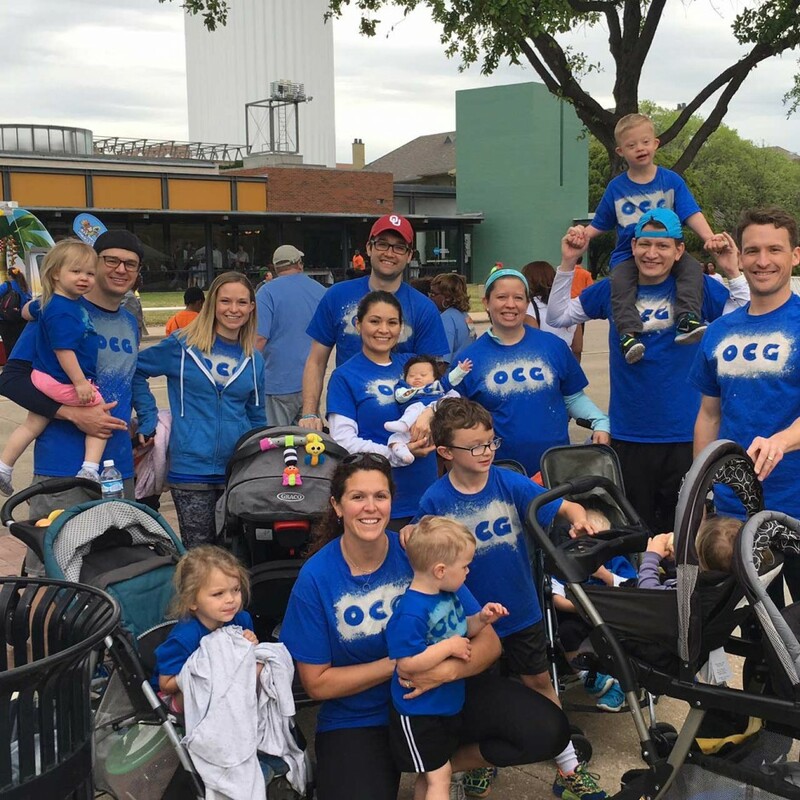 Also on Saturday our family participated in a fun walk for MS. A friend of ours was recently diagnosed with MS and so it was a ton of fun to get together with a bunch of our friends and support our friend and that cause! We had a blast at the MS fun walk! As I write this I’m working through week 3 of my pre training! My longest pure run (without stopping) I think is 6 miles (although I may have ran further than that a few years ago when I first got into running.) That’s a long way from 26.2, but hopefully I’ll get there! Until next week…..
You are doing an awesome job good for you running and keeping it up and now joining a running group that is amazing. You are an inspiration and will raise awareness. Thank you for all you do and for always keeping ujs updated. Great post! By the way, I’m just curious, what’s an orange therapy? It’s new to me. I just ran my first marathon in April, which was totally awesome, but I’m so not ready to tackle another marathon this year. But I am super happy to have just started training for a fall half marathon — the perfect balance between training and fun, I think. Good luck with everything! Got around to joining an OrangeTheory class, it’s amazing. Thanks for giving me the idea to do it!